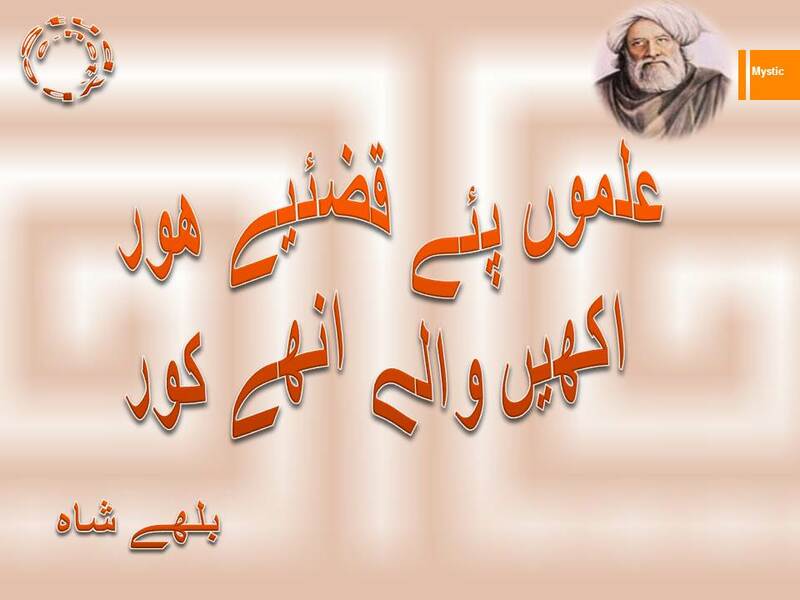 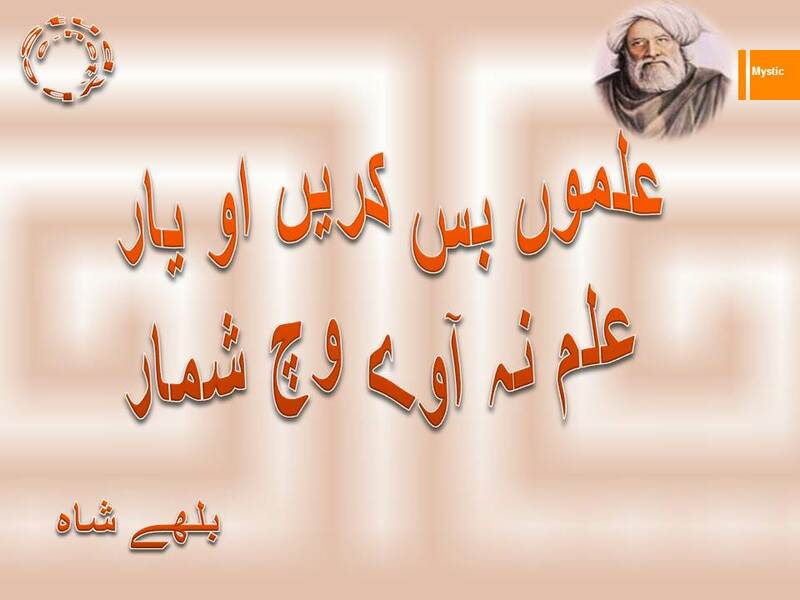 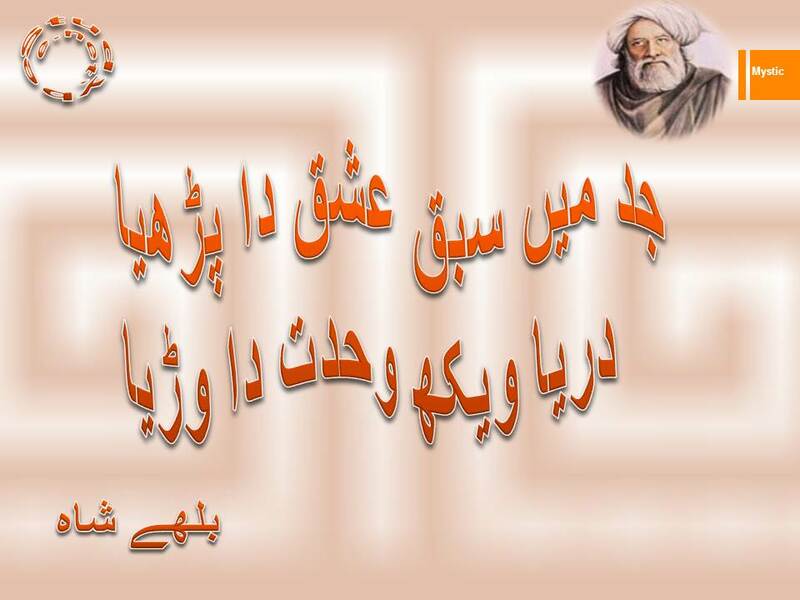 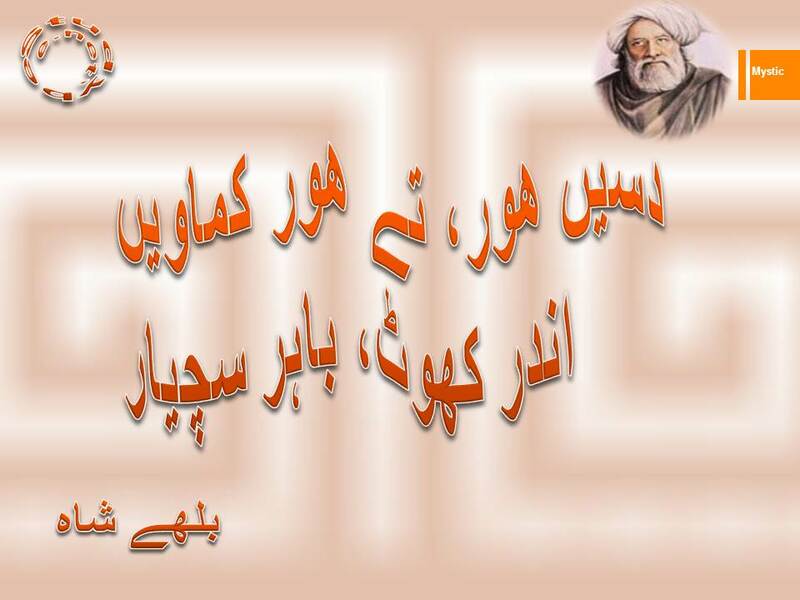 Known as Bulleh Shah or Bullah Shah (بلھے شاہ رحمت اللہ علیہہ ), he was born in Uch Gillanian in 1680 (1091 ھجری). 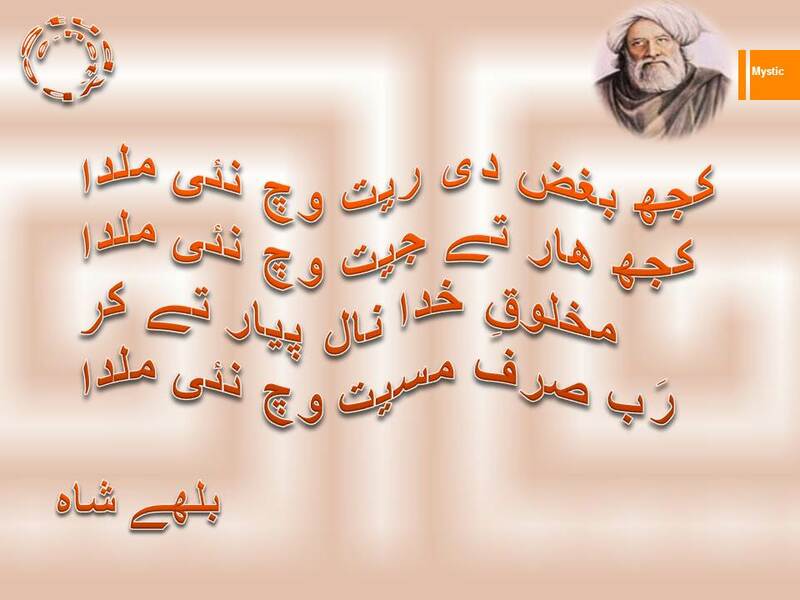 His real name was Abdullah Shah. 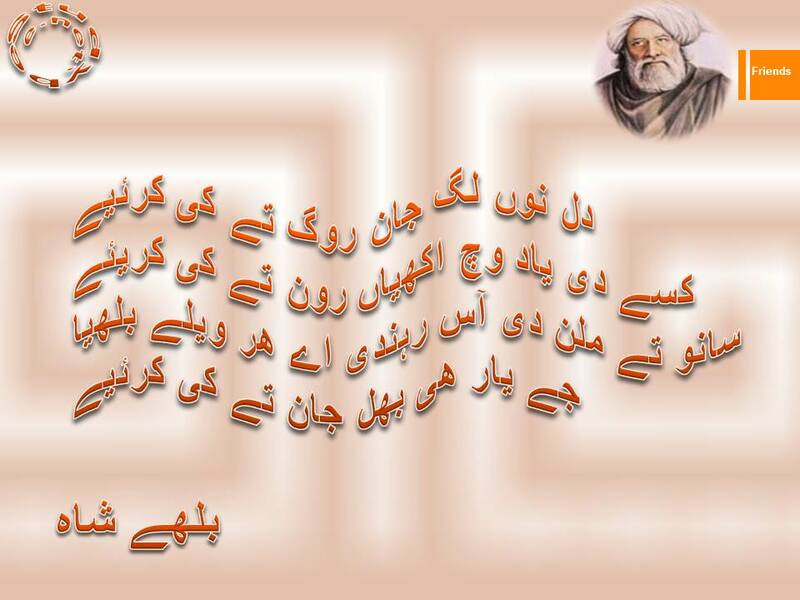 He belonged to a religious family. 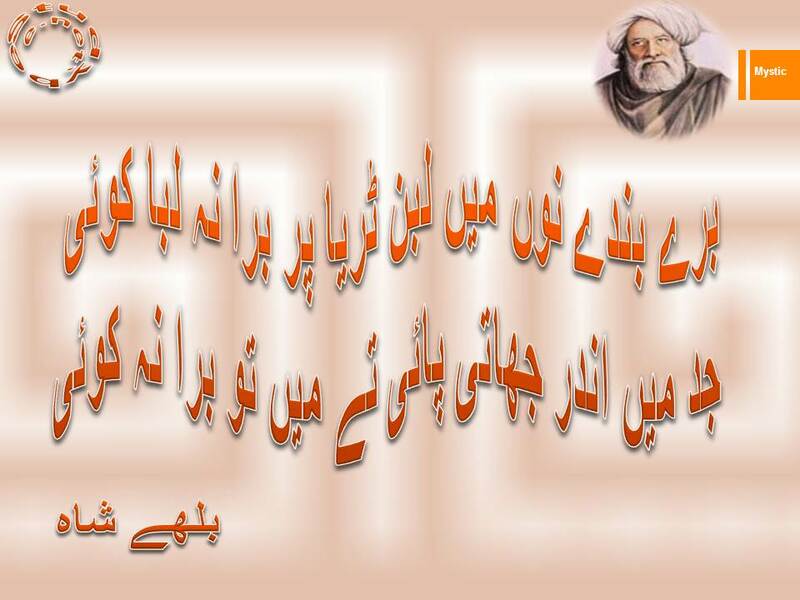 Like father like son, he was known for his mysticism and Sufism; he was renowned for his karamat right from his childhood and wherever he went. 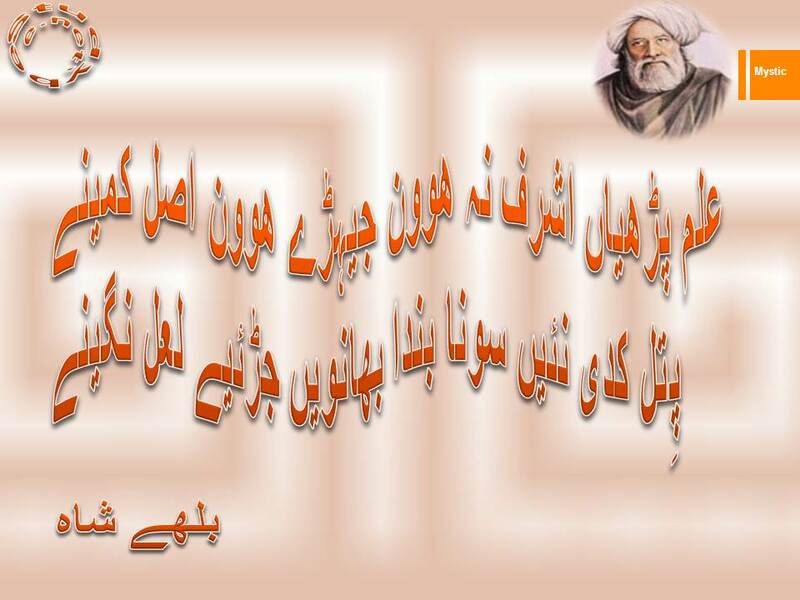 Baba Bulleh Shah’s primary source of spiritualism was his master (مرشد), Hazrat Shah Inayat Qadri(رحمت اللہ علیہہ ). 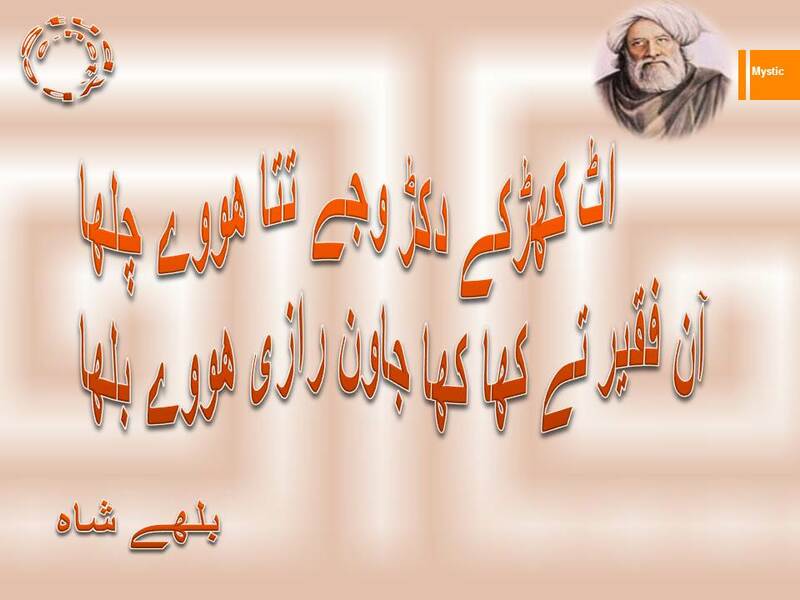 Translation of above verses: “In your devilish acts, you may think of demolishing a mosque or a temple, or anything that you can demolish but refrain from breaking the heart of a human; because God Almighty is in every heart”.